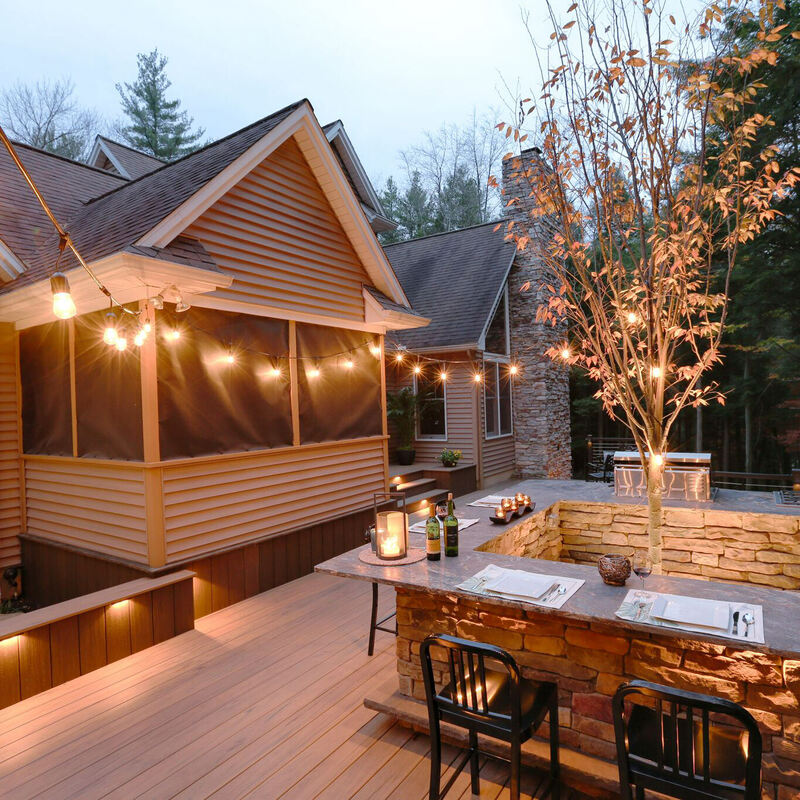 Most of us have problems visualizing exactly what our dream backyard will look like when it’s finished. Will the fire pit be too close to the house? Will there be enough room for the kids to run around? 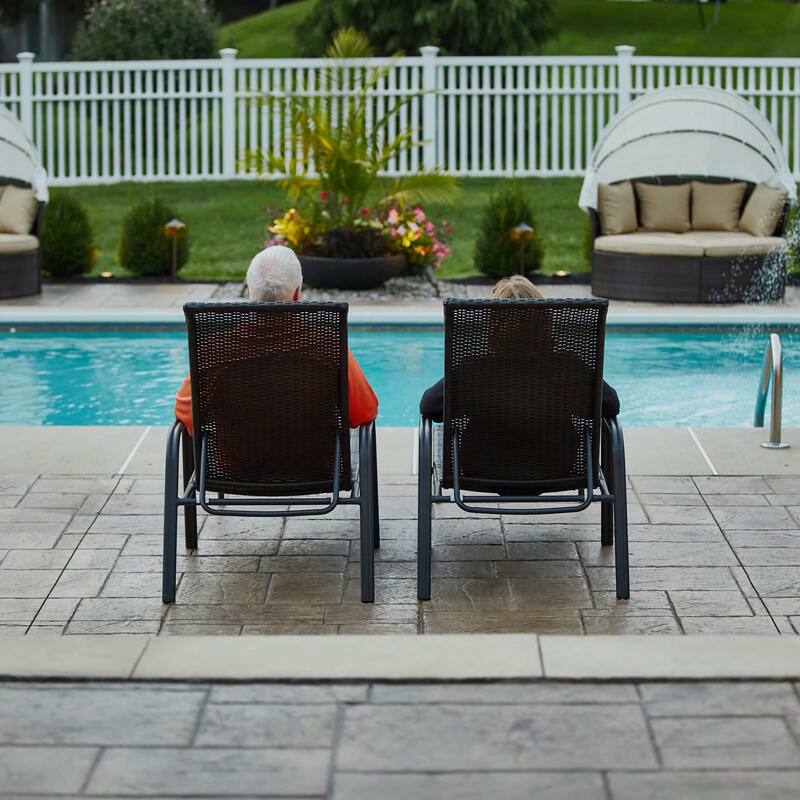 Will the neighbors be able to see us in the hot tub? 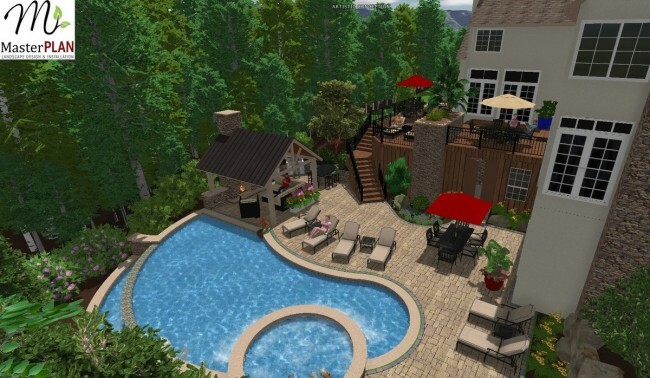 By modeling your dream backyard in full color 3D on the computer, you’ll be able to see how the different pieces fit together before you commit to it. You’ll be able to know if the entire project works, or if you need to tweak things before you start to build. You’ll also have a realistic “big picture” of the project so you know what you are working towards. 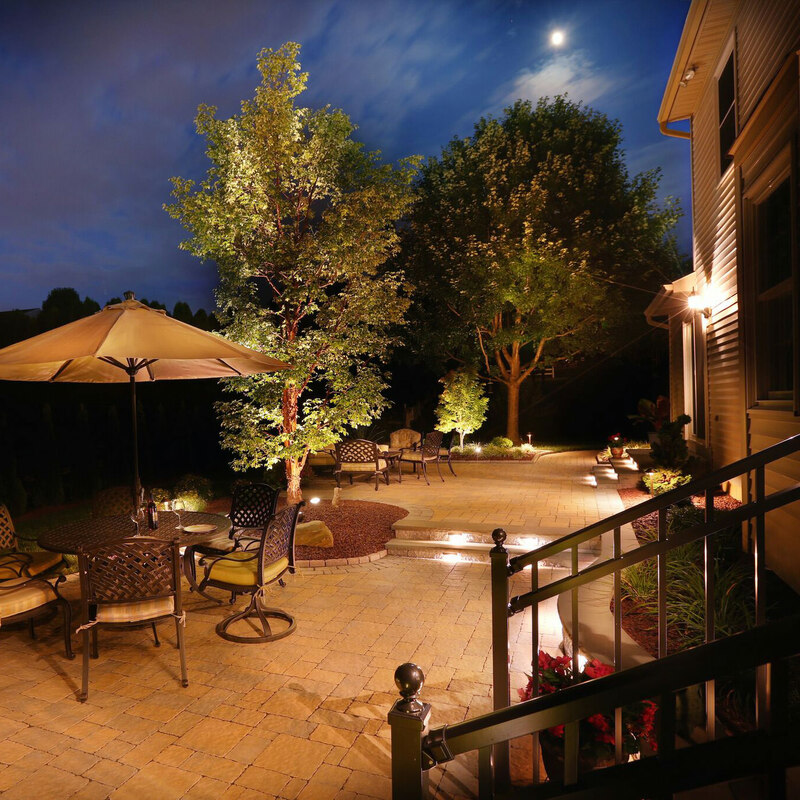 A landscape master plan gives you the foundation you need to build your dream backyard over the course of several years. It allows you to break down a major project into easy-to-manage, well-thought-out steps. 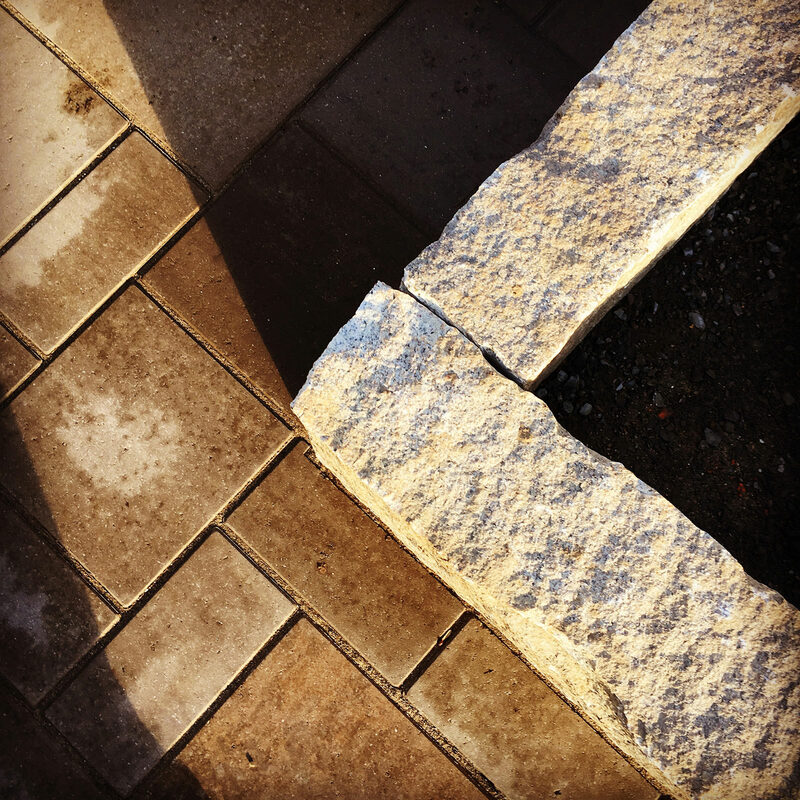 For instance, perhaps it makes sense to put off adding topsoil to the bottom of the yard until you dig the pool, so you could use that soil as fill instead of shipping in fresh soil. 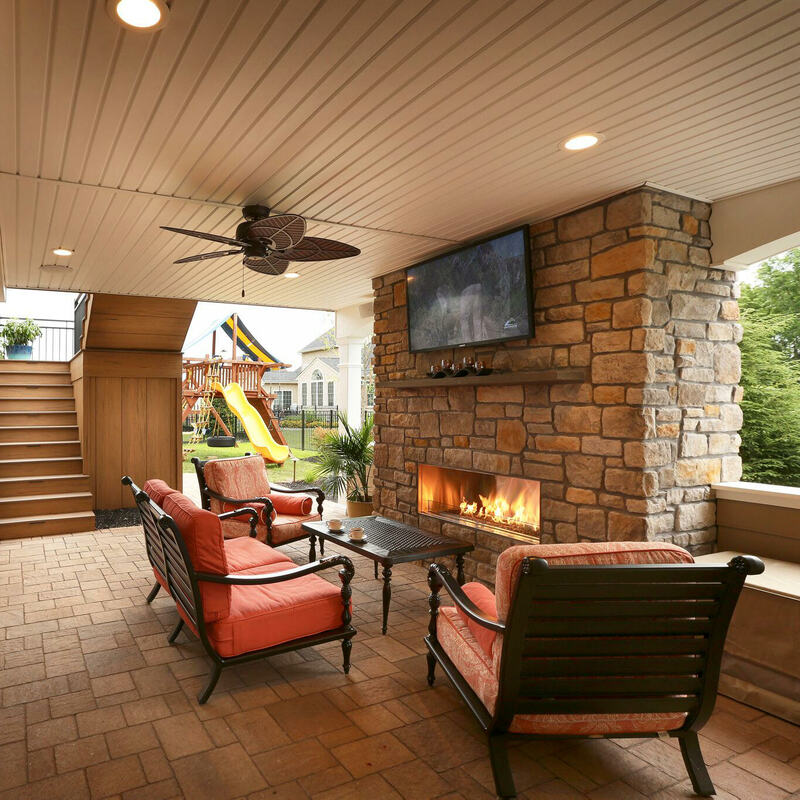 Or maybe it makes sense to install a new deck first, to give you an almost immediate place to sit and enjoy the outdoors, before embarking on building a major water feature. Or maybe you’ll realize it makes sense to install a new fence last, after all the bigger projects are in place. Many inexperienced people will add a fence without checking the property line, which will mean the fence needs to come down and be built again when the neighbor complains. Or over-eager homeowners will plant a fast growing tree too close to the house, only to have to cut it down or move it in a few years when grows big enough to blocks the view from the living room’s picture window. Or someone will plant flowers that need lots of sunshine in the shadiest part of the yard. 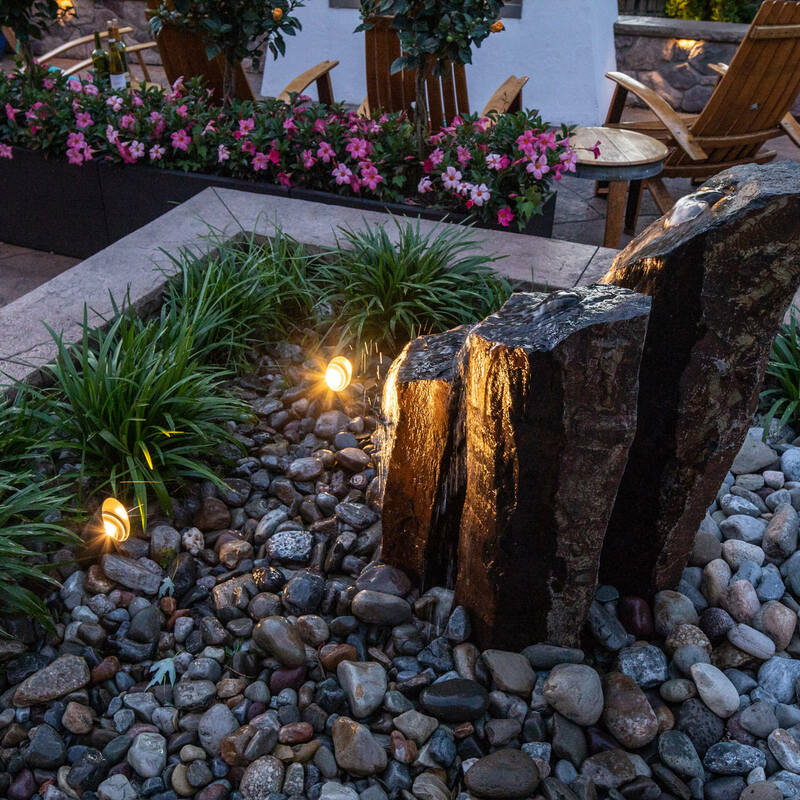 Hiring a professional landscape designer will help you make sure you are buying the right materials for the job. 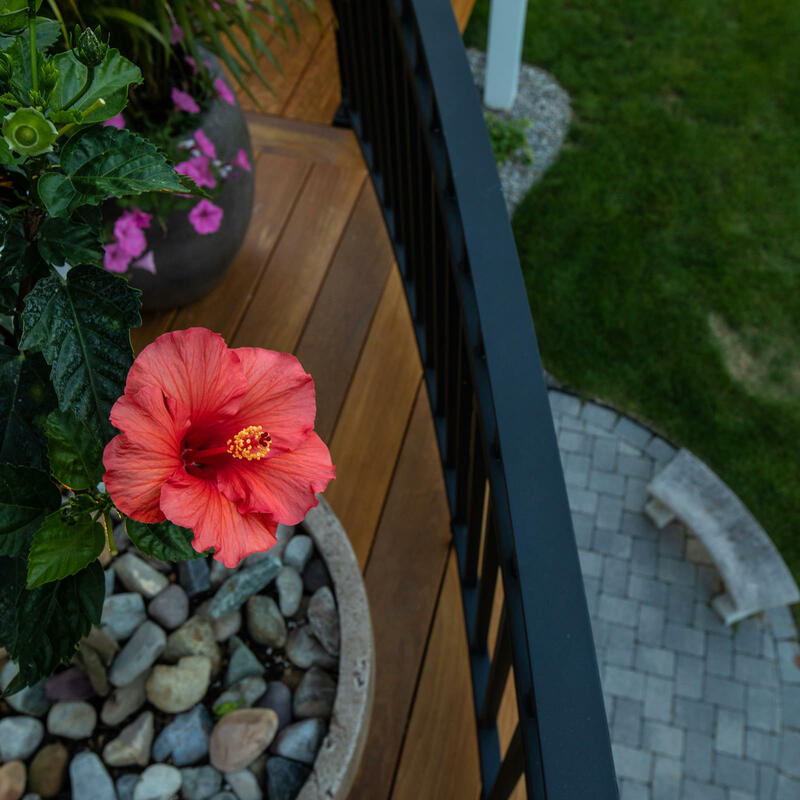 Did you want a low maintenance deck that you won’t have to stain every other year? 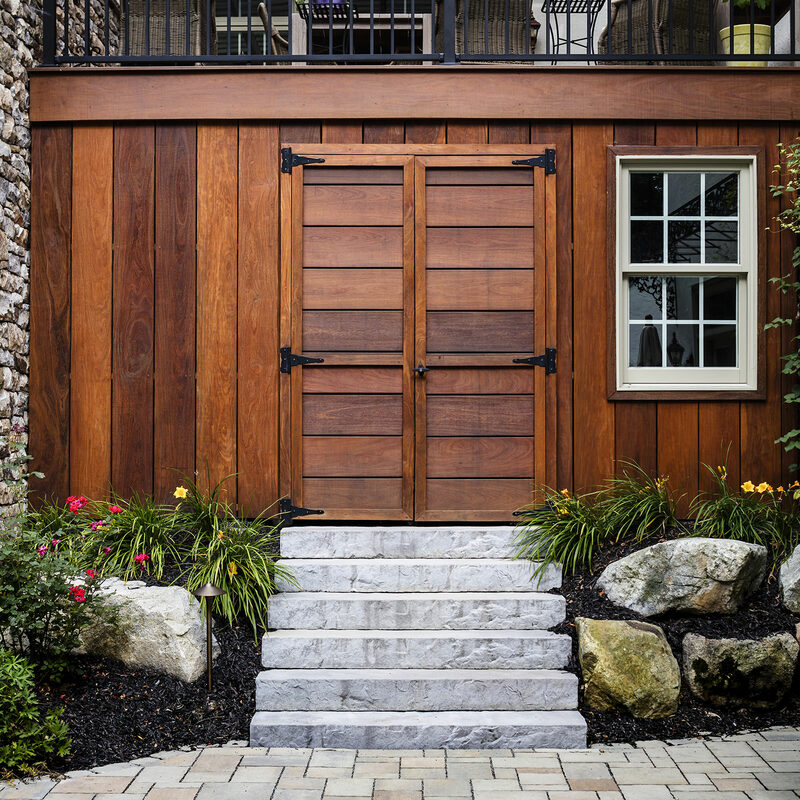 Do you want to be sure the new terraces are built to withstand run off, and not drive water into your basement? 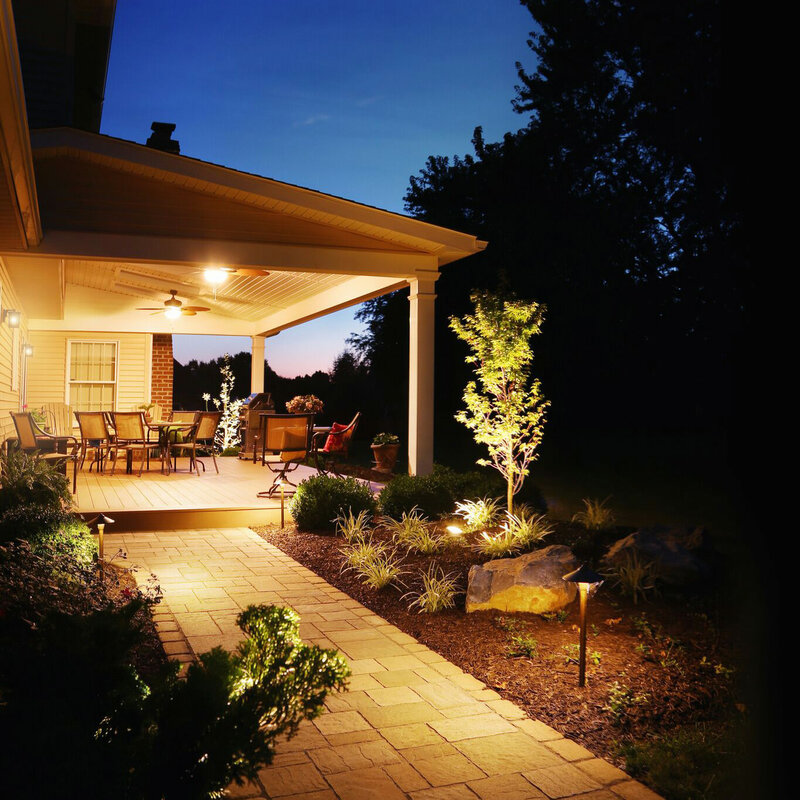 A landscape master plan not only helps bring your ideas to life, but they make sure every dollar is well spent, not wasted on costly mistakes. 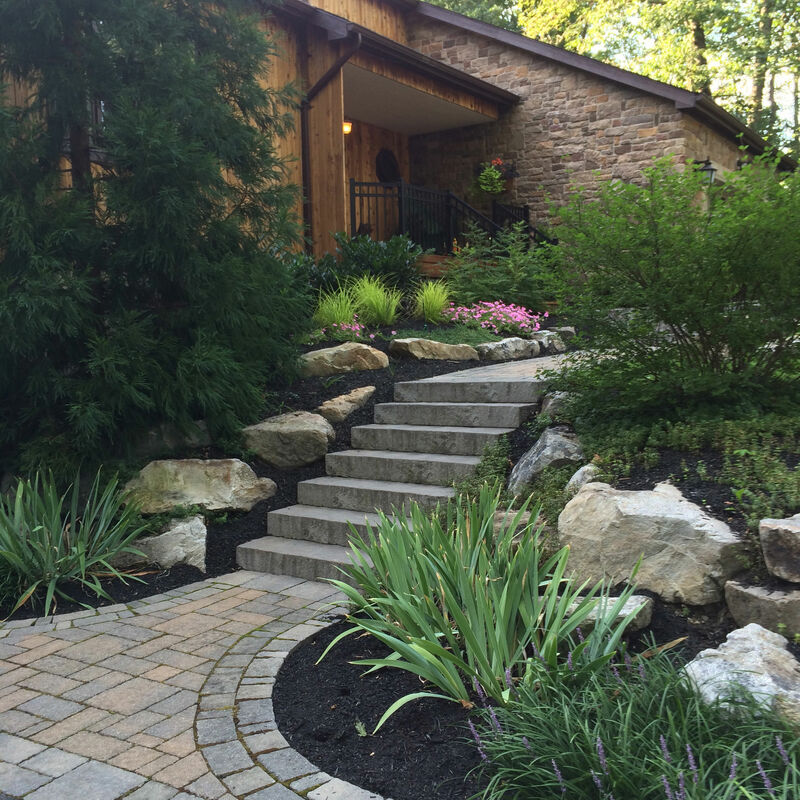 Spring is on its way, so call MasterPLAN Landscape Design & Installation today to start growing your landscape ideas now!